Since the Wii's launch in 2006, owners in Japan and America have created a combined 100,000,000 Miis, said Nintendo big cheese Satoru Iwata. Actually seems kind of low to me. 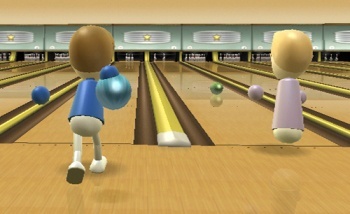 Speaking during a game seminar presentation, Nintendo boss Satoru Iwata revealed that Wii owners in Japan and North America have created a combined 100,000,000 of those lovable little Mii avatars since the console launched in late 2006 (as of December 4, anyway). Frankly, the number seems a bit low given that at last report, there had been more than 56 million Wiis sold - though in all fairness, this figure doesn't reflect any systems sold outside of Japan and North America, meaning that European, Australian, and mainland Asian Miis don't count towards the total. Even so, if we only count Japan and America, we still get ~35 million consoles, meaning that every Wii owner has apparently only created three Miis. Really? When I first got mine my friends and I spent like five hours making one for each of us, and the average is only three per console? Interestingly enough, it seems that Americans like making Miis a whole lot more than their Japanese counterparts. Of that 100 million, 20 million came from Japan while 80 million came from across the Pacific. While you might be inclined to say, "But wait, John! Surely there were more Wii consoles sold in North America than in Japan; that must explain the discrepancy!" - and you would be right - it's still a bit disproportionate. If we round the end-of-September figures on Wikipedia up, we get 9 million Japanese Wiis and 26 million North American ones. So while there are many more Wiis here in North America, it's not quite four-to-one. Maybe us Americans just like making Miis to look like Adolf Hitler and Michael Jackson more than the Japanese? That's all I can think of, anyway.